Jim Urbina and Tom Doak started their careers by working for Pete Dye. Jim was the "dirt guy" whose experience and savvy on a bulldozer was the perfect complement to Tom's already extensive knowledge of classic courses and architectural principles. They teamed up in a partnership that gave them both a chance to learn from each other and push each other toward new ideas and concepts. Jim was the field marshal for many courses, including Pacific Dunes. He was the guy who hired the labor force, drew up the work schedules, designed the drainage plans, coordinated the work of the subcontactors, worked with the course superintendent and the turf consultant, and, generally, made sure that all the moving parts worked together. During the construction at Pacific Dunes he put in 168 days on site, about three times as many as Tom, whose visits were spaced out so that he could review progress (often with Mike) and fine tune the work. At Old Macdonald, Jim put in just about the same number of days but this time -- at Mike's suggestion -- he shared the design billing with Tom. During the building of Old Mac, Jim did a little of everything -- including, when needed, getting up on a Sand Pro to get the shaping exactly the way he wanted it. One of the best days I had during the construction of Old Mac was a day when I caught Jim and Ken doing a walk-around, with Jim pushing Ken, the superintendent, to give him "rough with soul." I also go Jim to talk a little about the "power spots" on the property that he had come to know so well. For a practical guy, Jim aso has respect for intangible forces. He traces this back to his experience building Apache Stronghold,near the Superstition Mountains. A medicine man showed him where the spirits entered and exited the stronghold, and gave him a string of mojo beads that Jim has carried ever since. Those beads, and a copy of Macdonald's book -- the "red book" -- were his talismans during the work on Old Mac. During the walk he showed me a couple of "power spots." One was on Old Mac No. 3, Sahara, where the drive has to clear a sand ridge that has a dead cedar silhouetted against the sky, the ghost tree. Jim was absolutely sure that this was a power spot; it had been confirmed for him when he almost got hit by lightning near the tree. As Jim and Ken looked for places where some rough with soul might be introduced, they gave me a short seminar on the virtues of fescue. 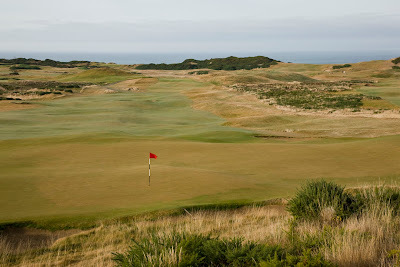 Old Mac is 100 per cent fescue, the first course at Bandon Dunes to be planted exclusively with fescue. From Ken's point of view, fescue is huge plus because it needs less water and chemicals than other kinds of grass. From a design point of view, an all-fescue course makes for a playing surface where, says Jim, (everything just flows into everything else. You don't see lines and edges. The course isn't constantly giving you directions and about where to hit the ball or what kind of what you should play. It's all one playing field. The only way you'll know it's a green is because of the flag." We walked some of the interior holes that day, where the fescue was just starting to sprout, and eventually made it up to the No. 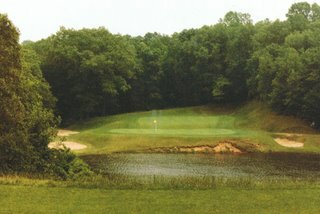 14, one of the high points on the course. From there we could see just about every hole, plus some of Pacific Dunes, and Five Mile Point, and the shimmering Pacific. "When I look around now," Jim aid, I almost don't believe it. I think, Wow. We did all that. Tom, and Ken, and the whole crew -- we did that. We changed this place." Charles Blair Macdonald called himself a "golf architect" (he was the first to use the term). A. W. Tillinghast advertised himself as "the Creator" of Baltusrol. Tom Doak prefers to think of himself as a builder. He suggested to Mike Keiser that Old Macdonald could be presented as "a Macdonald design built by Jim (Urbina) and myself. Not codesigned, but built, which I still think of as a noble title." The emphasis on building makes sense for a man who earned his stripes by working in the field. On nearly all his courses, Tom has spent at least some time aboard a machine, doing the actual shaping; and he's always expected his design associates to know the trade from the ground up. At Old Macdonald, he figured that he and Jim had a "much more experienced and polished construction team than Macdonald ever had and . . . we should not not give up everything we had learned about natural-looking construction over the past one hundred years." 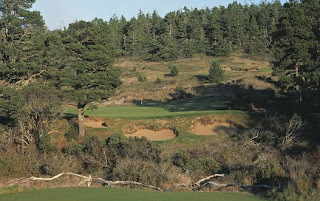 Old Macdonald does appear to be far more natural-looking than the Macdonald courses I've seen. When I mentioned to Tom that many of Macdonald's greens seemed to have geometric shapes, unlike those at Old Macdonald, he pointed out what I had missed: "Many of the greens at Old Mac are geometric, but instead of reinforcing the square corners we tried ery hard to blur the edges and lines so that you don't notice it too much. 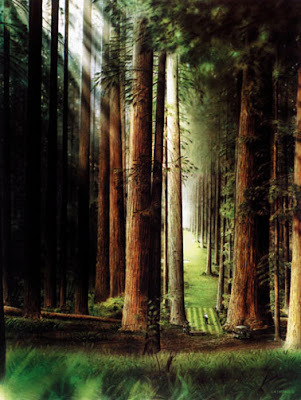 Most of them are big, blocky greens where you have a hard time finding the corners." I hope the photos are good enough to show the difference between a Macdonald hole and the Old Macdonald version. The upper photo is of the No. 9 at Yale, perhaps the most famous Biarritz hole that Macdoanld built; note the clean oval shape of the green, with the trough in the middle more or less bisecting the green. Now look at the shot of No. 8 at Old Macdonald, a very different version of the Biarritz. The huge green seems to be a rectangle, though the edges are hard to find. And the trough sort of meanders like a creek across the green, shallower in some places than in others, its course anything but direct. This shot is taken from the back of the green. Here the difference between the original hole and the Old Mac version speaks volumes about the spirit of this "tribute" course. And while I'm thinking about Biarritz greens, I can't resist adding a photo of the other green at Bandon Dunes that -- to my mind -- qualifies as a Biarritz green. This is No. 5 at Bandon Trails, a deadly little beauty that usually requires no more than a wedge. But you'd better put it on the right level of this astounding green. First, let me admit that I have been an unreliable blogger. I intended to post daily while I was out in Oregon, and instead I posted . . . once. There were too many things going on, too much golf to play, too many people to talk to. 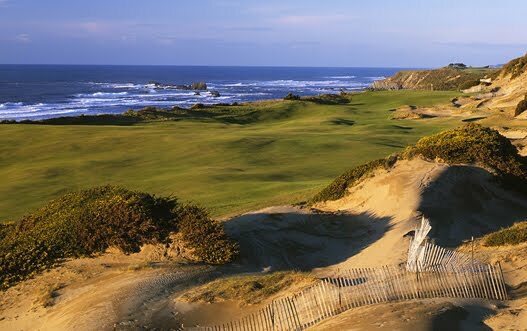 So I'll try to catch up, starting with my last day at Bandon Dunes. Weather had moved in. 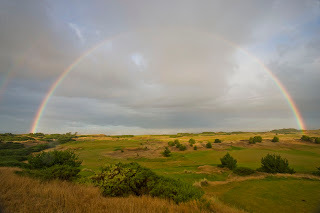 We had a tee time at 7 at Pacific Dunes, but as we ate breakfast the rain streaked sideways across the windows. 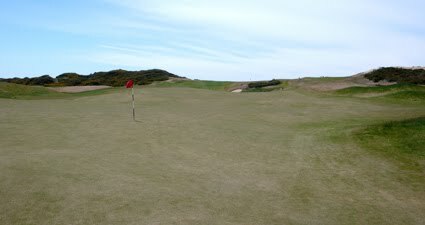 I could see the flag on the 9th hole at Bandon Dunes blowing straight out, and the flagstick was starting to bend in the wind. Gaeton, who had flown over from Paris for this occasion, sipped his coffee and asked, "Anybody want to go hit some balls first?" I was one of the wusses who stayed behind, hoping the weather will soften up so that I could get in an afternoon round. And I got lucky. At 3, I headed over to Old Macdonald with Mike Keiser, Jim Seeley, and Brian Hewitt. There was still enough wind to turn an umbrella inside out, and the rain came in hard gusts. There were only a few other groups out, but Mike hadn't been able to play on Opening Day and he wasn't waiting any longer. With water pouring off the brim of his white cap, but he punched his first drive right down the middle. We got a match going, Mike and Brian vs. Jim and I. Jim, a former pro and now a senior executive at KemperSports (he's had general oversight of golf operations at Bandon Dunes from the start), hit his approach stony -- a kick-in birdie. We were all in full rain gear and I won't say that no one noticed the weather, but no one said anything about it. From Mike's demeanor, you would have thought it was a bluebird day. Up at the second, after we both holed out for 4's, he said, "We've done our job. We made our bogies." Then, on the way up the Sahara Ridge on No. 3, he chatted with the caddies, wanting to make sure that their raingear kept them dry. There was another kick-in birdie on this hole -- made by yours truly, a 6-iron that I nailed. I hasten to add that the shot was blind, and the birdie illustrated how friendly the rolls on some of the huge greens at Old Mac can be -- the contours will funnel some balls right to the hole. Brian won the 4th, with a couple of well-hit shots into the south wind, and on the 5th, Mike hit a 7-iron straight as a string and pin high. An easy par. It had taken us about 50 minutes to play 5 holes. It was exhilarating to pull off a decent shot in that weather, and I for one had the feeling of braving the elements. I was thinking of how Mike had gotten started as a golf developer at the Dunes Club in Michigan, how he'd played ""wilderness golf" on the land before there any golf holes there. And thinking of what Bill Coore had told me about Mike on a recent visit to another project, Lost Farm, in Australia; they went out, just the two of them, and played golf all day on the roughed-in holes, carrying their bags, hitting the shots even though they couldn't putt on the fuzzy greens. Obviously, Mike Keiser is a man who hasn't lost the kid's fascination with the game -- for him it's still an enchanted form of play. It's about being outside, and about walking, and hitting shots, and enjoying the journey, every single step of it. For all of us who love the golf at Bandon Dunes, we can only be grateful that he had the vision and the wherewithal to build a place where we can partake of that experience. There's an established ritual for the opening of a new course at Bandon Dunes. All the golfers sign a log as they await their turn on the tee. They're presented with a sleeve of balls with the Old Macdonald logo, and coin stamped with the date -- and a bas relief of Charles Blair Macdonald poised at the top of his backswing. Then, when their time comes, each foursome moves to the tee where they are greeted by Mike Keiser. But he's not the only one on the tee. Co-designers Tom Doak and Jim Urbina were both there for a while (but Tom soon drifted off to watch how people played the course), along with other key people in the resort's short history -- Hank Hickox, the GM; Josh Lesnik, president of KemperSports; Shorty and Charlotte Dow, who were the unofficial hosts for the development before the first ground was broken. Each group posed for a picture with Mike (taken by Wood Sabold) and a film crew was on hand, too. The whole atmosphere was welcoming and personal -- even as it added to the first tee jitters. In this post I'm not going to try to sum up the experience of Old Mac, but everyone in my group -- everyone I talked to -- marveled at the greens. They are mind-boggling. I've come from lunch with a group of well-travelled golfers who were trying, and failing, to come up with a course that has greens so big and so turbulent. And I didn't talk to anyone who minded the size of the greens, or minded three-putting. In our group, the most memorable shots occurred around the green. I'll mention only one, on the 8th hole, the Biarrritz green. I was standing at the fron of the green when my partner, who'd come up short, played his ball out of the valley in front of the green. It looked good from the moment it started rolling. I watched it travel across a green that has to be at least 50 yards front to back. As it made its way through various hollows and crevices, it disappeared from three times -- three times! -- like a train going through a tunnel. That's what I call a triple peekaboo, and I'm not sure I've ever seen one before. Check in later for more on Old Mac. Tomorrow I head out to Oregon so I won't be posting for a few days (unless I can figure out how to manage with with my android phone). During the writing of Dream Golf, I fell not just for Bandon but for the whole state of Oregon. On this trip, as usual, I am adding a couple of days to visit other parts of the state -- this time the area around Sisters, where I will fish the Metolious and the mighty Deschutes. The Salmonfly hatch is on. Then it's on to Bandon and the opening of Old Macdonald. 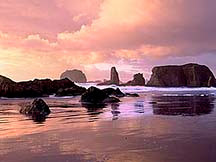 Below is another image I've borrowed from Wood Sabold, a shot of the fabulous sea stacks that line the Oregon coast. When George Peper was the editor of Golf Magazine, he gave a harsh review to a new course by a well-known professional whom I probably shouldn't name (Greg Norman). Norman let him know he wasn't happy about the review, and in the ensuing dust-up Peper tried to get to the essence of what he valued in a golf course. He came up with this formula: Character and Charm. Both qualities are elusive, of course, and I can imagine some golfers -- like the illustrious duo Bomb and Gouge -- rolling their eyes and curling their lips with contempt. Charm? CHARM???? What has CHARM got to do with a 340 yard drive???? To which I would reply, what has a 340 yard drive got to do with most golfers? A part of Peper's argument -- and Mike's, too -- was that courses had gotten so big and so difficult that they were unplayable for most golfers. Who wants to spend four hours (or five) getting beat up by a golf course? Older courses were built on a different scale. Even though clubs like Baltusrol and Winged Foot competed to host prestigious events, and wanted tough courses, the designers of the Golden Age didn't design their courses with professionals in mind. I can't claim to have read the work of all the golf architects who worked during the Golden Age, but those I have read -- Macdonald, Tillinghast, Mackenzie, Hunter, Thomas, Ross --seem to have a firm idea of the what makes an ordinary golfer so passionate about the game. One of my favorite quotes is from George Thomas, the architect of Riviera, Bel-Air, and many other California courses: "To learn golf architecture one muist know golf itself, its companionshipes, its joys, its sorrows, its battles -- one must play golf and love it." The mindset of the man who wrote those words is worlds away from the mindset of, for instance, Robert Trent Jones, who famously summed up his philosophy as "hard par, easy bogey." Thomas was identifying with the average golfer, considering the intangible and emotional appeal of the game; Jones seemed to regard the individual golfer as a hopeless hacker whose main interest was in the number on the scorecard. Thomas wanted to create a playing environment that invited a golfer to respond with his inmost golfing self -- a self made up of imagination, judgment, emotion, fantasy, and of course frustration. Jones wanted to create a playing field that was exacting in its demands, requiring a player to execute certain shots -- or else. Jones, of course, designed for the pros. He was known as the Open Doctor, and his son Rees -- who has inherited that title -- has reminisced about his early experience measuring the drives of the professionals. This was information his father used to place the fairway bunkers, pinching in the landing areas where a good drive would finish. Jones also liked elevated greens, requiring high, fast-stopping approach shots. These and other features of his design seem to intended to "defend par" --a vaild concept, I guess, for a club hosting the U. S. Open. But it seems as though this idea of "defending par" influenced not only the courses that Jones designed, or re-designed, for major tournaments but seeped into nearly all his work. I think it defines the work of many of his contemporaries and successors, which is to say most of the golf architects of the modern era. Just think about it: Defend Par. That's the mindset, excuse me, of the prim spinster who has decided that her mission is to defend her . . . you know. In any case, it's a long way from the mindset of a designer like George Thomas . . or Bill Coore or Tom Doak or David Kidd. 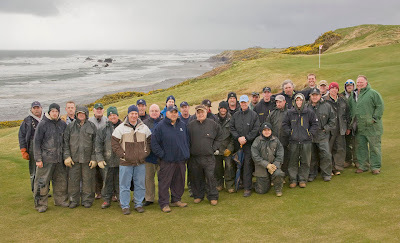 These are the designers whom Mike Keiser hired to build the "throwback" courses at Bandon Dune. From the jump, he made it clear that he wanted the courses to appeal to the "retail golfer," his term for the average golfer who would pay to play. He had no interest in a building a course that would attract a professional event. When interviewed, he had no hesitation in declaring his opinion that too many courses were built for the top 1% of golfers, and they weren't much fun for the other 99%. Mike wanted courses that offered a player like him (his handicap hovers around 10) fun and excitement. Fun and excitement. Mystery and adventure. Charm and character. I'll take a helping of all of those, thank you, and let Bomb and Gouge lead the charge on those courses that Defend Par. As it happened, I made my first golf trip to Ireland in the summer of 1986, the same year that Mike Keiser marvelled at the wonders of Ballybunion. The first course I played was Connemara, and I remember the sense of strange excitement as I approached the clubhouse, driving past a meadow stippled with buttercups and tiny daisies. This didn't look like any golf course I knew, and the sense of strangeness built as I pushed deeper into the course. There were rock outcroppings everywhere, and jumbled Celtic hills, and the smell and sound of the sea slashing at rocks, more buttercups, wind and weather speeding swiftly by. I was playing golf, or trying to, but I felt more as though I had stumbled through some kind of looking glass into an enchanted world. It was spinning, or my head was spinning. Out there near the ocean, the golf felt more like an adventure than a game, and I knew I wanted more of it. I didn't know Mike Keiser then, though we might easiy have run into each other that summer. We played several of the same courses. I link us here as representative Americans who discovered links golf in those years -- there must be thousands, tens of thousands of us. The great pilgrimage back to the source of golf, back to the links, was just starting to gather steam. For many, the exposure to links golf was a conversion experience. For Mike, it provided the model for the kind of golf course he would build at Bandon. He would become, in Bill Coore's words, "a living American connection to links golf." 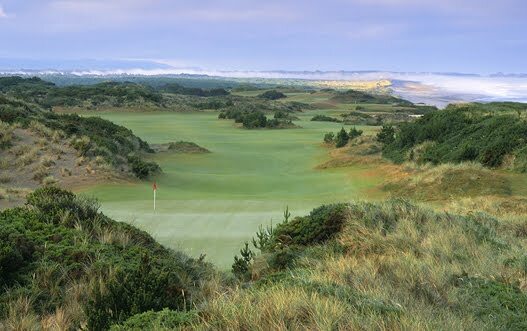 Mike started thinking about how he could build a links course, and I started thinking about how I could manage to play them. 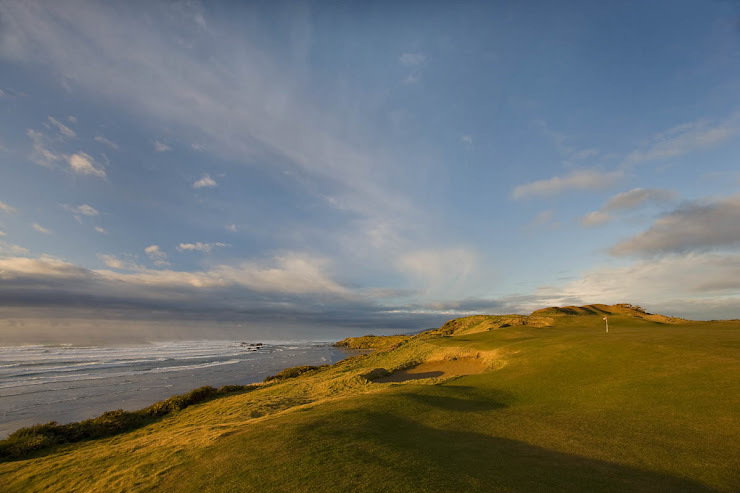 I annoyed my golfing buddies by going on and on about the joys and virtues of links golf -- though when I finally got them over to Ireland and Scotland, they were hooked, too. They liked the rugged, rumpled, natural look of the courses and the firm fast turf. They (mostly) liked the brisk, changeable weather. Up at Brora, they liked playing in among the sheep ("What sheep?" said a Brora member, who'd stopped seeing the critters). They liked the Honor Box at Enniscrone where visitors were asked to deposit a few pounds before going out to play. It was at Enniscrone, too, that a black collie decided to accompany us, and a very good thing that was -- we wouldn't have found our way with him. They loved sitting in the bar at the Marine Hotel in North Berwick and watching the passing groups struggle with the green on the 16th hole, that wild Biarritz green. They couldn't believe Gullane, the town where the golf radiates outward in every direction. They woke at four to get in line for a tee time of the Old Course at St Andrews. They loved the warmth of the hospitality and the inclusive spirit of the game and the general lack of pretension. They had a high old time trying to pronounce the name of that course out at the end of the Dingle Peninsula and finally decided that the correct way to say it was Celine Dion. Of course we were on a golf vacation (the alert reader will realize that the above paragraph lumps together several different vacations), and the grass is always greener, beauty is in the eye of the beholder, and so on. Still, it is hard to play links golf and return to golf American style without feeling that something, somehow, got lost in translation. Maybe I'm just too accustomed to American parkland courses (and I'm not even talking here about condo-lined fairways, overmanicured fairways, carts and cart paths), but they don't have the wild, gamy flavor of the links. 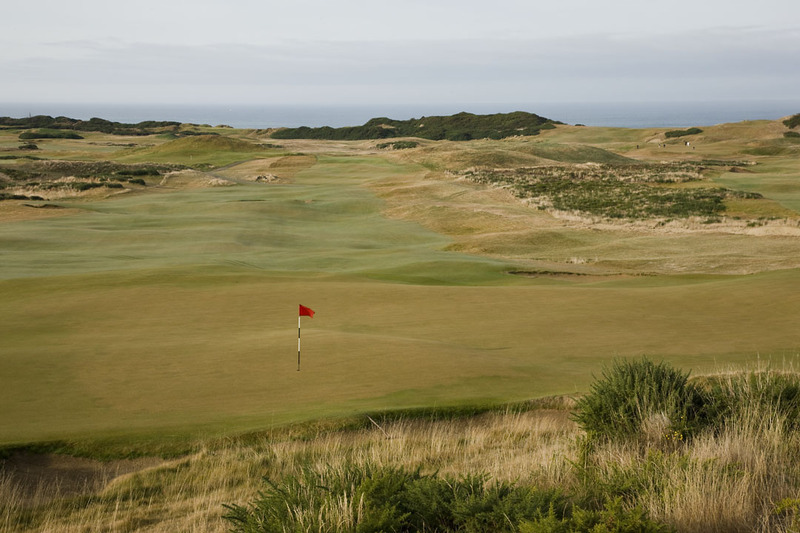 Mike Keiser was able to capture the spirit of links golf at Bandon Dunes, and now many American golfers have their religious moment as they play along the Pacific Ocean in Oregon. The courses aren't old but they feel the ancient magic of the game. I'm just guessing, but I imagine that their inner voice goes something like this: "Holy Tom Morris, great patron of the links, have mercy on my golfing soul for I did not know what I was missing." 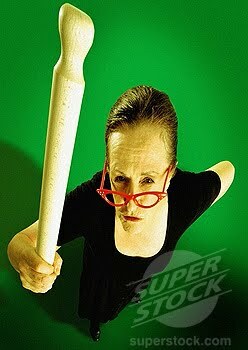 Steve Goodwin here. I feel like the luckiest part-time golf writer who ever scribbled. "Dream Golf" was a dream assignment, a chance to get to know Mike Keiser and the other talented people who created Bandon Dunes, the most mind-blowing, soul-stirring golf resort in the world. As a writer I know that I should avoid superlatives (and in the book I mostly do) but on this blog I intend to speak as my usual self -- just another 12-handicapper with too many opinions, bedazzled by Bandon. That's me on the left in the photograph, by the way, with my son Nick on the right.